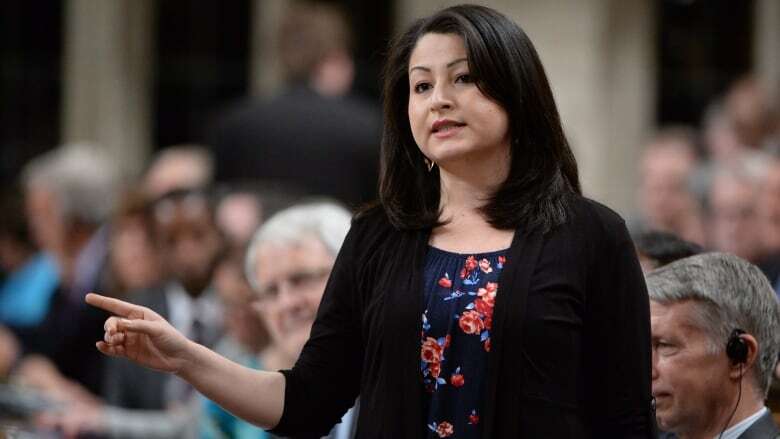 Minister of Democratic Institutions Maryam Monsef has apologized to MPs she suggested Thursday were shirking their duties on electoral reform. Standing in the House of Commons on Friday, Monsef said sorry for the behaviour her opposition critics denounced as "appalling" and "a disgrace." "Yesterday in this House, I used words that I deeply regret," she said. "And if you'll allow me, I'd like to sincerely apologize to the members of this House, to Canadians and to the members of the special all-party committee on electoral reform. In no way did I intend to imply that they didn't work hard, that they didn't put in the long hours, that they didn't focus on the task at hand. Mr. Speaker, I thank them for their work." Are Liberals serious about electoral reform? On Thursday, the special committee of MPs studying electoral reform recommended holding a referendum to survey Canadians on whether they want to keep the current system or adopt a system of proportional representation. The committee did not specify the exact alternative model. Liberal members on the committee disagreed that a referendum should be held. The discord among committee members provoked a sharp rebuke from Monsef in the House. "I have to admit I'm a little disappointed, because what we had hoped the committee would provide us with would be a specific alternative system to first past the post. Instead, they've provided us with the Gallagher Index," Monsef said, referring to an academic equation that is used to quantify how well electoral system results reflect the popular vote. Green Party Leader Elizabeth May, who served as a member of the electoral reform committee, accepted Monsef's apology via Twitter. "For my part I accept @MaryamMonsef's apology. It is hard to admit making a mistake, but all mere mortals do. Now 4 fair voting!" she tweeted. The inability to find consensus on the committee raises questions about whether the government will deliver or retreat from its promise to have a new voting system in place for the 2019 general election. During an event with elementary teachers in Toronto on Friday, Prime Minister Justin Trudeau said while some members found agreement around a referendum on the issue, there was no consensus on a particular model. "That doesn't get us forward on what kind of system might actually suit the majority of Canadians, because there wasn't agreement on that," he said. Trudeau suggested that Canadians aren't necessarily as passionate or plugged in on the "intricacies of political questions" as they are about their mortgages, jobs or the environment. 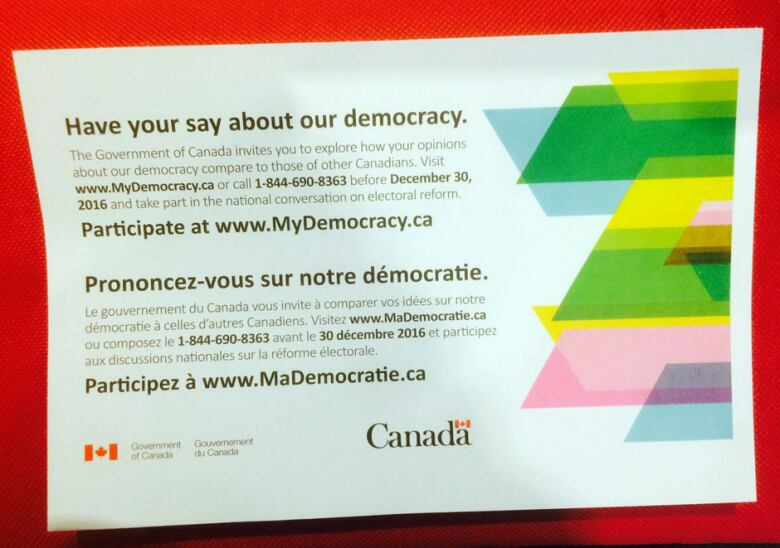 To that end, the government is sending out notices to every household beginning this weekend to ask Canadians what they want achieved through electoral reform. The goal is to gain a better understanding of how Canadians want their values reflected in Parliament and in legislation, he said. "Those are the questions that are top of my mind as we move forward on figuring out how we're going to move forward on electoral reform," he said. "It's a challenging issue, but it's one that I am very, very much taking seriously."